If you live far from the office, or even if you just desire a preliminary consultation in the privacy of your own home, I would like to invite you to use our Virtual Consult. Please fill out the information on this page to initiate the process. In order to have a meaningful discussion, please submit high quality photographs for review. Please send a minimum of two photos of the area you wish to have evaluated, as well as a description of your surgical goals. After carefully reviewing your submission, we will set up a time for a telephone conference so you and Dr. Bogdan can discuss your goals and potential treatment(s). Please note: As Dr. Bogdan's time is valuable, the customary consultation fee is required to use this service. Title:	 ---- Ms. Mrs. Mr. Dr.
- Use a solid background. - Take one photo with the face or body centered and looking forward. - Take at least one, preferably two profile photos. 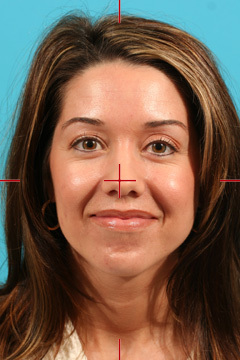 Example of frontal face view. 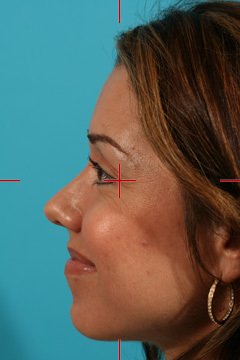 Example of profile face view. Example of frontal body view. Example of profile body view. Communications through our website or via email are not encrypted and are not secure. Use of the internet or email is for your convenience only, and by using them, you assume the risk of unauthorized use. By checking this box you hereby agree to hold Michael A. Bogdan, MD, FACS and his affiliates, harmless from any hacking or any other unauthorized use of your personal information by outside parties.